Saturday night I went to dinner at Baltimore’s Prime Rib. We were celebrating our one-year dativersary. I actually made a dress to wear for this date. But, it’s kind of ‘fallish’ (maple leaves/dark purple) and I never get to wear this dress I had made in China. I’ll have to post my new dress later this week. I had some sea bass that was so delicious I just about licked my plate. I wanted to take the little potato skins, curl up into a ball and make one a little hammock for me. And, somehow, between the wine and before dessert, this happened. Better yet, the band was playing one of my favorite sounds, What a Wonderful World by Louis Armstrong! We told our parents that night and tried to text and call close friends the next morning. I did a terrible job of that. Umm, also, my *hand* hurts from stretching out my fingers and staring at my ring. I had to take ibuprofen and use a heat pad last night. Ohhh!! My secret/private Pinterest board is about to be SUPER public!! And, in true modern social media fashion, we are Facebook official. Which, of course, makes it totally real. The wedding dress was my 2nd thought after figuring out that she was engaged! hahahah! I have been reading your blog for a year now and love it. I don’t usually comment but I wanted to say congratulations that is awesome! Oh I am so happy for you! Good for you both! I love you beating the odds. CONGRATULATIONS!! CONGRATULATIONS!!! Oh I’m so very pleased for you both! What a lovely way to brighten up a Monday! Congrats! So happy for you!!! Congratulations! I have been reading for years but don’t comment very often and I’m so happy that you’ve found the one for you! Congratulations! I’m happy for you both! Congratulations! That’s wonderful news! So happy for you! Oh Happy Day! I am just pleased as punch for you! If anyone was destined to beat the odds, it was you. I wish you the very best on your new adventure, and tell this gorgeous guy that if he doesn’t treat you right he will have an entire world of bloggers after him. Oh, and tell him I think he has really good taste in women. Congratulations to the gorgeous, happy couple! CONGRATULATIONS!!! I wish you the very best and decades of happiness!! Congratulations! And I must second Parisgrrl – will you be making your wedding gown? Bridesmaid dresses? You guys are a such a cute couple! Congratulations! That is fantastic news! Since you cook and sew….does Jordan like to clean? But seriously, it is so wonderful to have a special someone who wants to spend the rest of his life with you and share good times and bad and have someone to lean on. Many many best wishes! Hah. My old lady radar told me this was going to happen!! What great news – congratulations to you both. Congratulations! wishing you many years of health and happiness! Congrats! I’ve been following your love-life saga for few years now, since we’re about the same age and struggled similar problems (for some reason, it felt comforting I wasn’t the only one and it was a planetary issue). I got lucky last year, and I wish you enjoy your man as much as I enjoy mine! Best of luck to you both! Thank you *so *much for saying this. I have family who wondered out loud to me why I talked about my dating life on my sewing blog. This is why. I used to feel SO ALONE in being single at my age. I guess I wanted other women to know that they weren’t the only ones and dating and break ups still happen and it’s *fine*. Congratulations! The world is full of people you have never heard of, who nevertheless feel happy because you are happy. Including me. Thanks for sharing your happiness. I am so happy for you. He is one lucky guy. You look fab in that dress. Congratulations! I’m so happy for you both. Congratulations! Wishing you both many years of happiness! I’m a dedicated lurker here. Been reading for a long time. Just want to say I’m so happy for you to get the joy you deserve. Congratulations to him and best wishes to you for a happy life! OMG! Shut my mouth! Congratulations-you two look stunningly gorgeous and happy together. Oh…Just thought of the DRESS-will she or won’t she? What wonderful news! Many congratulations, best wishes and all the rest to you and that lucky guy. I’m a long-time reader of your blog, not that it matters. But I’m so happy for you! CONGRATS! I have been following your blog for years, through the cop, the vegan and others. I could totally relate to you because I too am in the “least likely to marry” group and on top of that I turned 40 this year. I am sooooo happy for you. You both are simply glowing. Best wishes. Congratulations! Yours was the first sewing blog I discovered several years back and I completely credit you with my renewed interest in sewing. Many many happy years. Congratulations! Wishing you many years of happiness! Delurking to say congrats! You both look radiant! Congratulations! I’m another who doesn’t often post on blogs, but I’ve been reading yours for years and I’m so happy for you! Congratulations! You are so adorable and talented. I love reading your blog am getting inspired by your creativity. Congratulations!! I love a good surprise! Congratulations for the two of you!!!!! Congratulations! Best wishes to you both! Wonderful news. Congratulations to both of you! Congratulations to you and your fiancé!!! How exciting!!! Congrats! Hope you have years of happiness together! I have read/lurked your blog from the beginning and even tho’ we have never met IRL, you are still a very real person for me. I am so happy for you!! All the very best (and I shall watch the preparations with rapt attention)! Congratulations! What a sweet proposal story! i wish wordpress had a bigger font!! CONGRATULATIONS!!! Congratulations!!!!!!! I’m so excited for you! You seem so very, very happy! Wishing you two SO much happiness together! OMG congratulations!!! I think it is hilarious that as soon as I saw the title I thought “she is getting married” LOL!!! I have no idea where that thought came from but it was obviously spot on. He is one lucky man! Congratulations! What a lucky guy – your are going to be one drop.dead.gorgeous bride! To Renee from another Renee, congratulations. Congratulations!! I’m so happy for you both. You look wonderful together and so happy!! Congratulations! It’s such an exciting time, enjoy it! congratulations, what a great post describing a wonderful evening. You two look fantastic together. Congratulations!! I am so happy that you’ve found a great guy!! All the Best. Congrats! I saw the title and I knew what it had to be. I’m so happy for the both of you. CONGRATS!!!!! I am so so so happy for you. I never really thought about the group “least likely to marry” before, but that totally explains why my mother is constantly trying to set me up LOL. Congratulations! This really brough a smile to my face this morning. As well as everyone’s comments. Great community. Best wishes to you! Another long time reader delurking to say Congratulations! and to wish the two of you many many years of joy and companionship together. Congratulations to you both. Jordan is one lucky guy. Congrats!!! Wishing you all the best! Congratulations!!!!!!!!!! You two make a beautiful pair. Congrats, congrats, congrats!!!! So happy for you both. Knew it was serious with all the mentions of his parents and vacations, hadn’t seen that before. Again, congrats. Also, I hope one day to open up MY super secret Pinterest board too! I saw a share on Facebook yesterday but couldn’t comment – I was so hoping you’d blog today. Congratulations – you look so happy together. I wish you both many years of joy and happiness !!! I love LOVE! Congratulations to you both! Oh my gosh! I’m THRILLED for you!!! Congratulations! So utterly happy for you both! You make an absolutely gorgeous couple! Such good news on a Monday morning! A lifetime of happiness to you both! Best wishes to you both! Your audience will enjoy reading about all the sewing and styling you’ll do for your own wedding, in the months ahead. Keep in mind, though, dear Miss Celie, that it is the marriage on which you should expend the vast bulk of your energies. The wedding is just a nice party to celebrate the beginning of a lifetime spent together. You two!!! AHHHH CONGRATULATIONS!! I’m so excited for you, such wonderful news!! Congratulations and best wishes to both of you! You will be embarking on a new chapter in life together!! Another dedicated lurker here-Congratulations to the both of you! Congratulations! I wish you many long and happy years together. Now, who could fill the role of Best Dog? How wonderful for you both! He is one lucky guy. (i thought the dress you had sewn in China had torn or??) What happened is GREAT NEWS!! What wonderful news! Much happiness to the both of you! We started our sewing efforts together – so I’ve been following your blog (and life!) for a long time. I feel like one of nearest and dearest has shared this news. Congrats to both of you and I wish you much happiness! The burning question is, of course, will you or won’t you make your dress?? Congratulations! I’m super happy for you. Oh my goodness! How exciting!!!! Congratulations lady! 🙂 I pray you both have all the joy your hearts can handle and then some! I’m adding my well wishes with everyone else. I wish you decades of happiness with your intended!!!! Yeah!!! Congratulations – you light up my days with your wonderful blog and I’m so happy for you! What wonderful news! One thing I’ve always enjoyed about your blogging is your honesty and humor in sharing the ups and downs, not to mention the incredible sewing. This is a great up, congrats!! I’m so happy for you, congrats! How fabulous! Congratulations! I can’t wait to see your wedding pics. I am so very happy for you! Congratulations! Awwww…..that’s so sweet!!!! You guys look great together. I wish you a world of happiness!!! S’wonderful. Very happy for you. Congratulations – I’ve never commented before but love your blog and wish you & Jordan many, many years of happiness together! Best wishes to you and congratulations to your fiancé! Least likely to marry? As in gorgeous, smart, great homemade dress?? Sheesh! Glad life demonstrated the absurdity of those statistics :-). Very happy for both of you..
Congratulations to your beau and best wishes to you….you both look so happy! Oh that’s wonderful! Congratulations! ! Are you going to make your wedding dress? Congratulations! This is wonderful news and there is much, much, much to celebrate! Woohoo! I was on a train when I read this and sqealed out loud I think :-). Congratulations, I’m so very happy for you. Like AnaJan, I have found it comforting in a way to read about your dating life (and interesting: how does dating work for others?) even though I’m a bit younger. I think I’ll keep looking to you as an example of how things may go! Awww, congrats. Such happy news. Congratulations!!! You make and adorable couple. So happy for you! omg! congratulations!! so happy for you both! Soooooooo very happy for you! OMG! Congratlations, so incredibly excited and happy for you. What excitement and happiness. Congratulations to you both, wishing you a long and very happy marriage. Congratulations to you both!!!! Such an exciting new journey to begin!!! Wishing you a lot of joy and blessings!!! Many congrats to you two! Congratulations ! I am so happy for you. I’ve followed you for many years and always took comfort in that your struggles were similar to mine. I wish you all the happiness in the world you truly deserve it. Congratulations ! You deserve to be happy and how wonderful you met your love. A cute cute couple. Now make that wedding dress so we can all enjoy part 2! Congratulations!!! I have followed your blog for years. I will miss the funny dating stories, but this is GREAT NEWS. How wonderful! I also squealed out loud with joy, but luckily I am at home, so no one saw me acting all silly. Congratulations! So exciting! So happy for you both! Congratulations! How wonderful, best wishes to you both! Congratulations!! – I wish both of you lots of lots of happiness! Congratulations! you both look so happy! Just read all the lovely comments and had to add my own. Congratulations beautful lady! So happy for you! Congrats!! I’ve followed your blog for ages and I’m just so happy for you! Congratulations! Super exciting! And try not to wear out that hand… You are going to need it later! Oh, such big congrats to you both!! You make a seriously good-looking couple 🙂 YAY!!! It’s funny that everyone ‘knew’ it. I had to read your post farther down and still had a moment of, wait, what am I missing? Congratulations! You two are truly a cute pair. Woo hoo, congratulations that is wonderful news. Now when can we start talking about dresses!?! another rare commenter here, but CONGRATS!!! A big congratulations to both of you! I wish you a long and happy life together! Congratulations! I’m another one that has read your blog for years but doesn’t always comment. You’re one of reasons I became hooked on Burda magazine. Anyhow you two make a great looking couple and I wish you all the best! Congratulations! I look forward to all the details. Congratulations! I am super excited for you! Congratulations! Hope you’re marriage will be as wonderful as mine is. I am so happy for you!!!!! I’ve been reading your blog for years, and hoping that one day you would meet the right man for you, and it finally happened!!!!!!! So when can we start reading about the wedding dress? You are going to make your wedding dress, right?? Hooray!!! Huge congratulations to you both 🙂 I can’t wait to see all the wedding posts! Congratulations! I have been reading your blog for years and am happy and excited for you! What happened to the vegan? I’d turn cartwheels for you…but I would hurt myself SERIOUSLY. So I’ll have to make do with smiling from ear to ear and wishing you a delightful time planning the wedding and a big happy ever after! Wow, so happy for you! Here’s to many years of love and happiness! Congratulations! I wish you nothing but joy! Congratulations!! You look so happy! Wishing both of you the best!! Congratulations, that’s fantastic news. Wishing you a long and happy life together. Congratulations! The bit about the ring is hilarious–I do hope you can get over the aches. I hope you two are very happy. I’ve been reading forever, but today I must write! Congratulations! May your life together be long and happy. I can’t believe I don’t even know you, yet your news has put a big smile on my face! I have been following your blog for ages and really enjoy your updates. I like your humour and you always seem happy and content with your life (maybe you might hide things from your readers, but you still seem like an optimistic person to me). May you and Jordan live happily ever after. Totally awesome news! Been following you for a few years. Congratulations to Jordan for recognizing what a fabulous catch you are and not letting you get away! Congratulations and best wishes for a lifetime of happiness! Congratulations, Renee and Jordan! I won’t lie and say this is a surprise. You all fit well together! 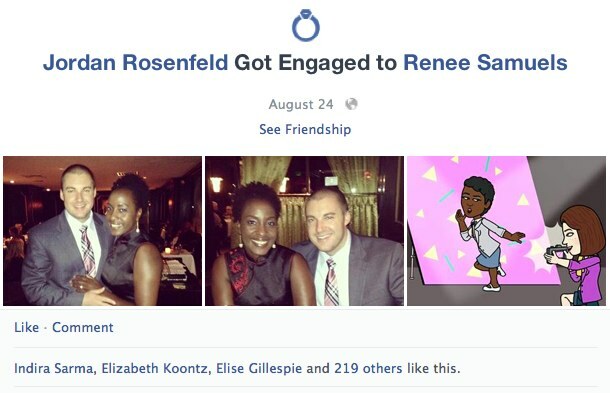 Well, I am so happy for you Renee, and he looks like a great guy. Have a wonderful time together. Yaaaaaaaay! Congratulations, Renee and Jordan! That’s SO exciting!! I’m a faithful stalker of your blog and haven’t ever posted, but this moved me. Congratulations! Congratulations! This is wonderful news! God bless you and the love of your life. Congratulations!!!!! 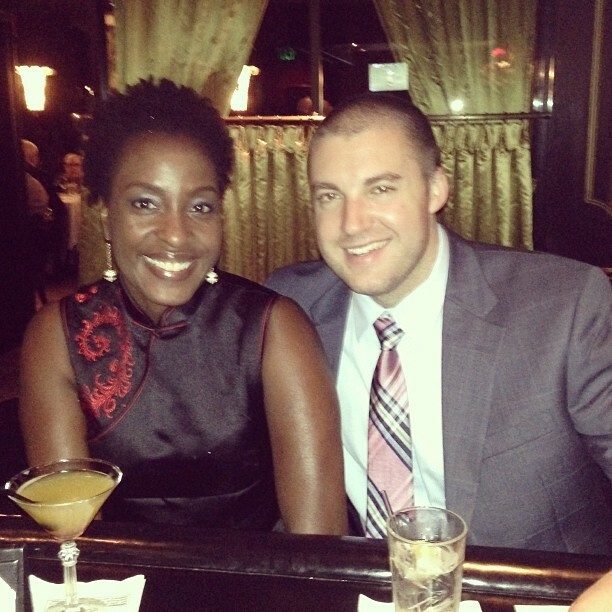 I didn’t meet the love of my life until my early forties… the wait was worth it! Congratulations!! I am so happy for you. I can relate to your struggles with dating. I was also a member of the group. I married DH last in my 30s. I can’t imagine life without him now. Best wishes for many, many years of happiness!! Congratulations! YOu both look radiant! So happy for you. It couldn’t happen to a nicer person – and he looks pretty special too! 😉 Best wishes for happily ever after. KayK? Are you a Whisenand? Best Wishes! from a lurker. Good news always brings us out, and this news is wonderful. AAHAAHAHAHAAAAA!!! Best news ever!! I’m so happy for you!! I met my husband when I was 30 and got married at 35 and I can’t imagine getting married any younger. Have fun and I look forward to reading about your planning. Seriously… when everyone you know if sick of hearing about your planning I’ll be more than happy to read about it! Congratulations! So excited for you both! I met my husband when I was 39. Well worth the wait! Blessings to you both! How do we give to you on your special occasion. Seriously, your blog has kept me sane during all manner of life’s challenges. Are you going to be registered…travel honeymoon fund, house with a garage fund…this Celie’s Wedding could go viral ya know. I for one wish I could give to you even a small token of my appreciation. Ahhhh, so happy for you. Congratulations! I’ve been lurking here quietly for years and I’m wildly pleased for you – a real life happy ever after! It’s so lovely! And as a new bride myself (we eloped last month) I’m on the edge of my seat at the thought of all the wedding details to come! Yay! So, so happy for you! Just skimming through all the comments – I love the way this has brought us all out of deepest darkest lurkdom! Did you know we all enjoyed your blog so much? Congratulations, I have been reading your blog for a while and I’m so pleased for you. Just like Claire above, I am among those lurking fans of yours and from France. I am so so so happy for you that I am having tears in my eyes.. You could be my daughter anouncing this great joyful news. ALL MY CONGRATULATIONS TO YOU AND JORDAN !! Congratulations. I had a good feeling about Jordan – he always made you smile in your posts. I see my wish for you was granted! I am bursting with happiness for you both. BIG CONGRATULATIONS…..I can’t wait for the Fortsetzung! Happy dancing. Congratulations!! I am so happy for you! Another of your lurkers, but I feel as though I know you well enough to send a wedding gift! Happiness to you! Renee, I just couldn’t be happier for you. I’m so glad, so happy. My heartiest and sincerest congratulations to you both. Have you set a date? Me & my DH married on our second dativersary. Congratulations and best wishes on a happy life together! I am so looking forward to reading about your wedding-dress-making odyssey. Coming out of lurking to send my best wishes to the two of you. I’ve been following your blog for so long I feel like I know you IRL! I did meet Trena here in Paris a few years ago, so there are way fewer than 6 degrees of separation. Félicitations! Congratulations! I’ve been reading your blog for about 2 years and am so happy to hear about this latest event. I hope you are very happy and look forward to all the dresses and honeymoon clothes you will make. Maybe even a men’s shirt now? Congratulations! Mid-30s marriages are the best! Ask me how I know! 😎 Finding Prince Charming makes it worth having waded through all the frogs, toads and other various reptiles. I am so very very very happy for you! I’ve been following your blog for years and there is no one I would wish more happiness to. You will be a radiant bride and a wonderful wife. He is one lucky man! And I was right. 😀 So many heartfelt congratulations. 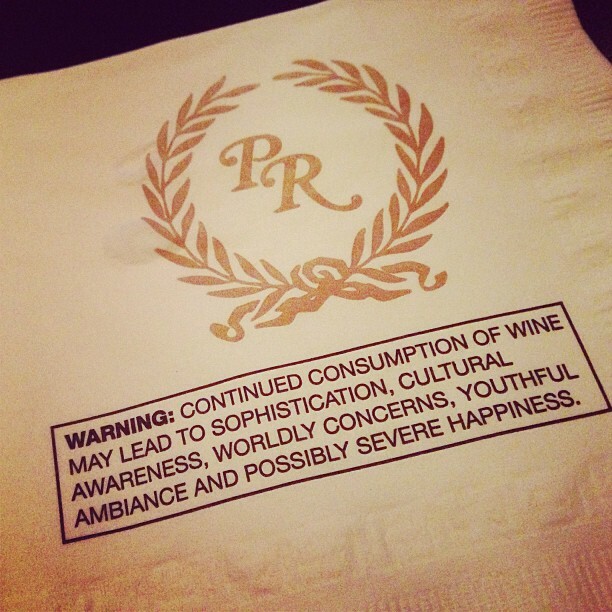 Cheers to being a statistical rulebreaker! Congratulations on your engagement and blessings on your marriage! I’m really behind on my blog feed and just got to this now. HUGE Congratulations!! How wonderful and exciting for you both! Statistics were made to be broken and I also highly approve of marrying in one’s 30s ;o) Have you started thinking yet whether you’ll make your dress? I’m sure I speak for a lot of people on here when I admit that I hope you will! Congrats, I am so happy for you. Enjoy each other and make more happy memories together. I am so happy for you . . . and I don’t even know you except through PatternReview and your blog which I’ve been reading since before the cop I think. Big hugs and congratulations! Have a wonderful life together! Congratulations and best wishes. How exciting! Congratulations!!! What a good looking couple you both are!!! Your Prince found you!!! What a Blessing! I have been following your blog for awhile. Your blog is one of my of my favorites. Keep us posted!!! Do you plan to make your wedding dress? Congratulations!! You make a lovely couple. Now get started on that wedding dress! So happy for you both! Congratulations and like everyone else who reads your blog, can’t wait to see what you decide to make for The Big Day……. Because you will sew your own of course, won’t you??!! So, I like so many others, will de-lurk to congratulate you and wish you all the best. He is one lucky guy. May you have a life of happiness, contentment, and sweet peace together. Am looking forward to observing the wedding planning from the sidelines. Especially the wedding dress decisions! Oh MY THIS WILL BE FUN! Take care! Congratulations! Cue the wedding dress-making blogs! Congratulations to you both! You’re a gorgeous couple. Many happy years together and lots of champagne right now! I am so glad for you both. I was 35, and figured I’d never marry. Now it’s been twelve of the happiest years of my life. Enjoy! What the hell! I step away from your blog for a few days and you get yourself engaged? You can’t turn your back on anyone these days. Congratulations! I’ve been following your blog with such affection–so happy for you. Congratulations! Wishing you decades of happiness, health and prosperity! Many many congratulations. Have a great time! I’ve only commented once on your blog but have stalked you faithfully. I had to comment again because, oh my goodness, I am crying happy tears for a person I’ve never even met in real life. I wish you and the your guy all the joy in the world. Congratulations! I’ve been reading your blog for a couple of years now and feel like I know you, even though I don’t. I went to Baltimore once for a work conference and felt like I would see you around every corner, and was genuinely disappointed when I didn’t. Anyway even though I’ve never met you, I’m so happy for you. Here’s wishing you every happiness, and thanks so much for sharing your happy news with us. Woo hoo, congratulations! So happy for you! Does this mean we get to see more man sewing? Congratulation’s!!! I have been reading our blog for a while and I am happy for both of you The old saying is true good things come to those who wait Best of luck to both of you!! So happy for you!! Congratulations and best of everything! Cogratultions! God bless your union, wishing u years of happiness and no more single days! I’ve been following you on Pinterest for a while so I had to check out your now public wedding board. Oh, your wedding is going to be beautiful! I love your ideas! Happy planning! You make a beautiful couple. I wish you all the happiness in the world. Did you ever sew anything for him? I’m a little late to the party but the sentiment is sincere, CONGRATULATIONS! You will never have to try to answer that dreaded, unanswerable question “Why isn’t a nice/cute/funny/talented/smart girl like you married?” Wishing you both a happy future! Congrats to Jordan and best wishes to you, Renee! Dare I hope you will make your own dress? And maybe there is time enough for the two of us to have lunch before you tie the knot? (I’m hoping for a bit of an engagement, then, yes?) Oh… so excited for you! Except I tried to find your engagement FB page and could NOT. Congratulations on this wonderful news. That’s so exciting. So, we will see a wedding dress coming along here?!? I have never left a comment and have been reading for years, but I just wanted to say congrats and best wishes! EEEEEEEEEEEEEEE I actually shrieked reading this! I am so happy for you! I’ve been reading you for years and hoping you would find your ‘person’. And you have! SO HAPPY! This is my first time making a comment, but I’ve been following you for years. Yay for you and Jordan!!! Another long-time lurker coming out to say Congratulations! I’m late to this party too!!! Congratulations!!!! I was late to get married myself and I have to say that I love the stability that comes with being married. I wish you great happiness! And I’m even later but better late than never to say congratulations! Good luck on this next exciting phase in your life. Coming out of my lurking corner to say CONGRATULATIONS! European honeymoon, by any chance? Congrats! You look adorable together! Can’t wait to hear all about the wedding dress construction. I know you and the dress will be stunning. CONGRATULATIONS! I have been reading your blog for years. You are an inspirations to us all. Congratulations. I’m glad you found Mr. Worth Waiting For. Congratulations! I wish you joy and happiness as you take this wonderful journey together. OMG how did I miss this post! CONGRATULATIONS to you and your fiancé! I wish you both the very best! Late to the party but just wanted to say congrats…. love your blog. AWWWWWW!!!!! Congrats to you and the hubbs to be! A little late to the party, Congratulations and Felicitations–wishing you both much joy and happiness!